Whether for financial reasons, religious affiliation, adventure, sightseeing or due to a change in residency, here are a few militaries abroad that accept — and sometimes actively recruit —U.S. citizens to serve. Most will require foreign recruits to know or to learn their language within a certain time period (that is, unless the country's language is English). After serving for a contractually-mandated time period, soldiers in a foreign military may be eligible to attain permanent residency status in the country they're serving, if they wish. If you've considered all the pros and cons, here are some of the handful of countries who allow Americans to enlist in their military. 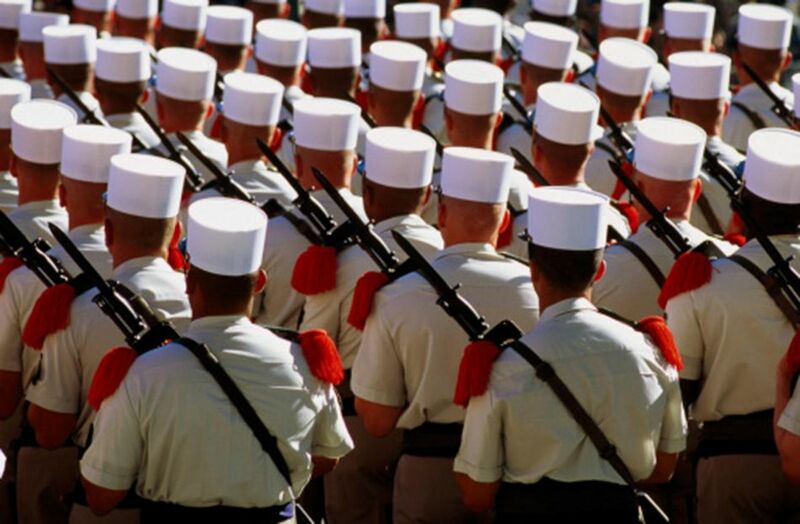 The French Foreign Legion is the only branch of the French military that doesn’t require national citizenship to join; in fact, joining as a citizen is a rarity. The Legion is legendary as a place to go to escape your past through military service specifically because it recruits non-citizens, all of whom may join under assumed identities. Of course, joining isn't exactly a vacation, even in the 21st century. Even after four months of basic training to become a legionnaire, recruits are forbidden a lot of luxuries that U.S. service members take for granted. Vacationing outside mainland France, buying a car, having a civilian bank account, getting married, and even wearing your own clothing off-duty are all denied to anyone who hasn't become a non-commissioned officer or served for five (sometimes seven) years. While these are two different countries, ​their recruitment programs are similar and they're neighbors. Australia and New Zealand actively invite veterans from the U.S. military with at least three years' experience (and who were discharged less than three years ago) to bring their skills down under. Transfers under the two countries' recruitment programs can apply for citizenship with as little as three months of service. Even if you're not a citizen, men aged 18 to 23 and women 18 to20 are eligible to serve in the Israeli Defense Force (IDF) through the Mahal program if they, a parent, or a grandparent are of Jewish heritage. A 14-month enlistment is all that's required (or 18 months, if you need to go through the IDF's paid training to learn the Hebrew language) with basic training from six weeks to four and a half months depending on your assignment. The Mahal website also points out that IDF volunteers may become eligible for citizenship and other benefits such as "exemption from Israeli university tuition fees." Russia's Armed Forces allows enlistment by foreigners of any country without exception. Foreign nationals who do not have dual citizenship in Russia may enlist under a five-year contract. After three years they can apply for full Russian citizenship. Although most don't accept Americans without dual citizenship, many of the countries in the European Union accept each others' citizens as military enlistees. Neighboring EU countries such as Iceland and Norway have reciprocal agreements in place.